B. Frederic Williams « James McElroy & Diehl, P.A. 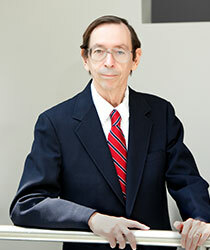 Fred Williams has been of counsel with James, McElroy and Diehl since late 2004, when he retired after thirty-eight years as an attorney with several federal agencies. Throughout his distinguished career, Fred has represented and counseled persons involved in white collar criminal investigations, civil litigation and innovative business plans. Cases of particular interest have included: allegations of insider trading, market manipulation and unauthorized trading by broker-dealers; theft of trade secrets and confidential information by former employees; Lanham Act violations; health care, tax and accounting fraud; political corruption; computer crimes and issues relating to computer searches, wiretaps and surveillance of electronic communications. Fred is a former federal prosecutor in Charlotte and has held senior positions with the Federal Trade Commission and the Office of Inspector General. He also has worked extensively with United States Senators from each major political party.